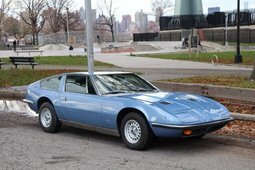 Maserati Indy – a Lousy Compromise or a GT of Your Dreams? From the moment of its introduction in 1969, Maserati Indy was in the shadow of the more potent and exciting sibling Maserati Ghibli. We have already covered the latter with its jaw-dropping design and slightly antiquated technology that hides underneath. Indy, meanwhile was supposed to be a more toned-down version of the new Maserati supercar, offering more practicality and comfortably seating 4 full sized adults. It was meant as an indirect replacement for the discontinued Maserati Quattroporte and the outgoing Maserati Mexico. Indy name was used to commemorate Maserati’s 1939 Indianapolis 500 victory. But that’s not the only bit about this model that comes from company’s history – its engine is based on the one found in the 1956 450S racecar. This V8 of Alfieri Maserati design with Weber carbs and overhead cams was smoothed out to make it more usable and reliable for road use. Granted, some styling concessions had to be made in order to provide space for four occupants. That shaped Indy’s higher roofline and consequently it didn’t have the same low and long profile which made Ghibli so attractive. Still, one can’t deny that Giovanni Michelotti from Vignalle did a terrific job when shaping this wedge GT. But if nobody complained about the way Indy looked, it received quite a bit of flak for the way it drove. Critics pointed to its leaf spring and live axle combination in the rear, an antiquated setup in a luxury European GT. The Motorsport magazine even remarked that “the suspension is dull in the extreme for this day and age” back in 1971, when they first reviewed the Indy America. The journalists also had a gripe with Indy’s three speed automatic transmission, which made spirited driving extremely difficult. It’s worth pointing out there was always a five speed manual option. But the critical journalists were missing the point, the Indy was not made to be thrown around the backroads, it was conceived to make crossing countries a breeze. And really, it fulfills this duty very well, even the early 4.2 l Indy could reportedly reach 250 km/h. Even today, it would have no issue keeping up with the highway traffic. 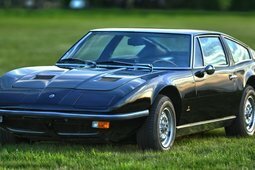 So maybe the Indy is not that bad after all, Maserati managed to sell 1,104 of them before the production ceased in 1975. A respectable result for a car that was never aimed at the masses. The model came in three iterations. 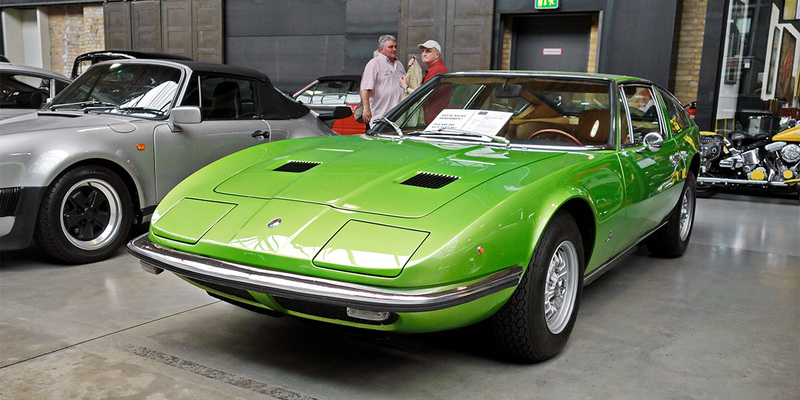 In 1969 it debuted with a single 4.2 engine offering, with 4.7 being an option from 1970. 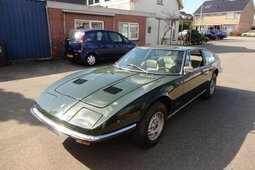 In 1971 it was updated and dubbed Indy America, now the car had a slightly different interior and came only with the 4.7 l. The last update came in 1973 when Indy received a hydraulic braking system from Citroen as well as the juiciest engine in Maserati line-up, the 4.9 liter V8 from Ghibli SS. Why the long wait? 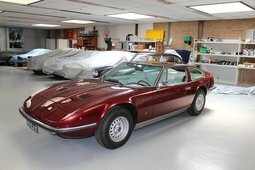 Maserati was afraid selling Indy with 4.9 would cannibalize the sales of Maserati Ghibli, and only trickled down the engine once Ghibli was discontinued. So should you get the Indy if you have an itch for a wedge-shaped Maserati GT today? There is a strong case to be made for it. Despite always being the second to Ghibli, it’s not really a lesser car as it shares the basic architecture with its costlier sibling while offering more practicality and better visibility when driving. These days a decent Indy can be bought for around Eur 60,000, while a comparable Ghibli costs around 5 times more. With such a price difference, the Indy is a tempting purchase as well as a possible investment.